Tibetan poet Tsering Woeser and dissident artist Ai Weiwei have collaborated on a book about Tibetan self-immolations, attempting to explain the suicidal protests that have gripped the Himalayan region since 2009. 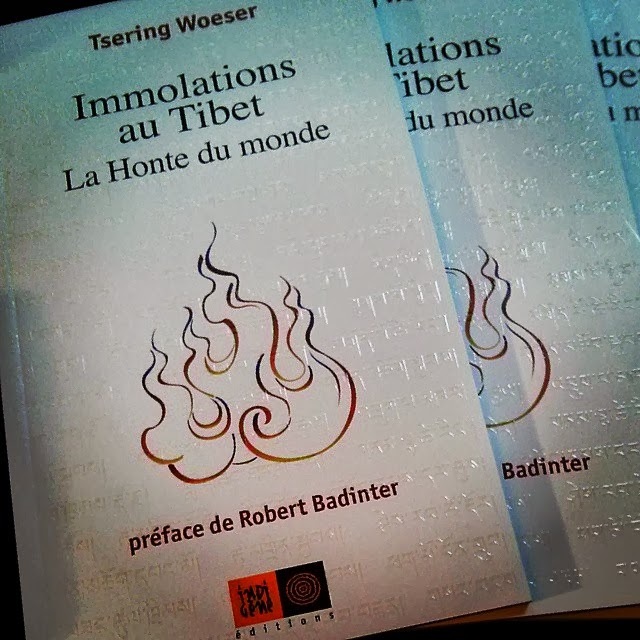 The book, Immolations in Tibet: The Shame of the World, is written by Woeser with cover art by Ai. A French-language first edition was published on Thursday. "I think [the self-immolations] are an earth-shattering thing," Woeser said in a telephone interview from Lhasa. "Yet people are silent. Why are they silent? In China, one reason is that the government blocks information, they block the truth, so a lot of people don't know that this is happening. Yet in a lot of places – even in China – people know this is happening, but don't really care." She continued: "In this book, I want to write about why people self-immolate – to help people understand, to break the silence." Since February 2009, at least 122 Tibetans have set themselves on fire as a grimin protest and most have died from their wounds. The protesters have been a diverse group, comprised of men and women, monks and lay people, elders and teenagers. There are many reasons behind self-immolations, from the trauma of forced resettlement to surveillance cameras in monasteries. 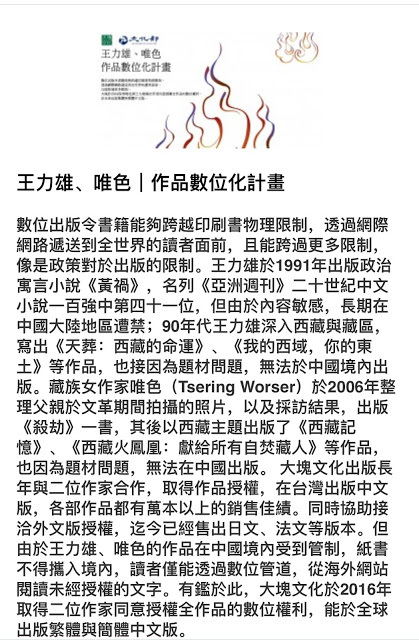 "Self-immolation is the most hard-hitting thing that these isolated protesters can do while still respecting principles of non-violence," Woeser writes.wrote in the book. Beijing condemns the protests as terrorism and blames them on "hostile forces from abroad" – particularly the Dalai Lama, who has lived in India since 1959. Woeser, one of the few Tibetan authors to write in Chinese, grew up in Tibet but now lives under close surveillance in Beijing. 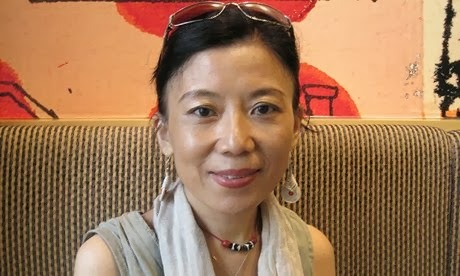 Since she moved to the capital a decade ago, she has posted volumes of poetry and essays online, many of them openly critical of the Chinese government's regional policies. 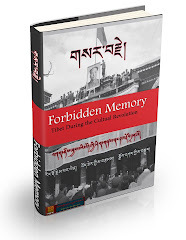 In the book, Woeser describes Tibet as a "giant prison criss-crossed with armed soldiers and armoured vehicles". 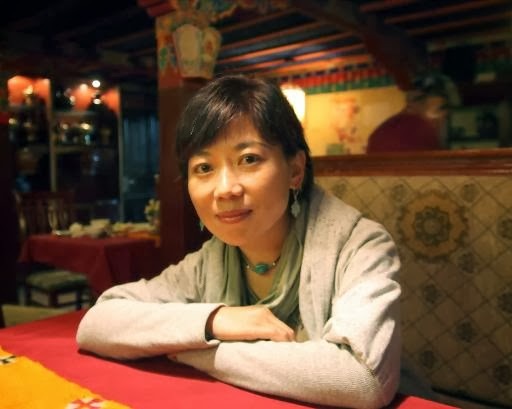 After Tibet was racked by riots in 2008, Woeser was placed under house arrest with her husband Wang Xilong, also a prominent writer and activist. Authorities once again confined her to her home in 2012, to prevent her from receiving an award at the Dutch embassy. Woeser called the book short – about 20,000 words – and said she wrote it quickly, between April and June of this year. 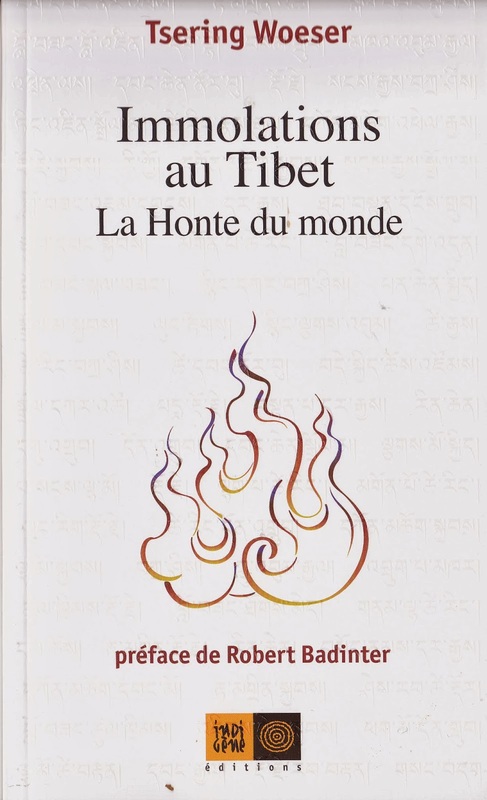 Ai's minimalist cover depicts the swirling outline of orange-and-yellow flames; its white background is subtly inlaid with each self-immolator's name, written in Tibetan. Woeser said that she considers Ai a friend, and called his views on Tibetan issues, which she had seen on Twitter, "very pertinent, and very precise". She asked him to design the cover in late August. "He agreed immediately," she said. "He said of course, the meaning of these self-immolations, whether on a philosophical or a religious level, is beyond what us living people can ordinarily understand. But he said he'd be willing to try." Woeser said that while publishing the book may carry risks, she refuses to be cowed, drawing inspiration from the people she writes about. "Their courage gives me courage," she said.